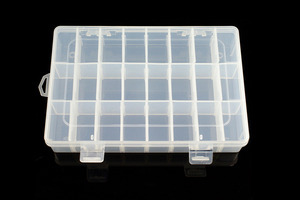 This is a nice parts box for tiny electronic components such as capacitors, resistors and connectors. 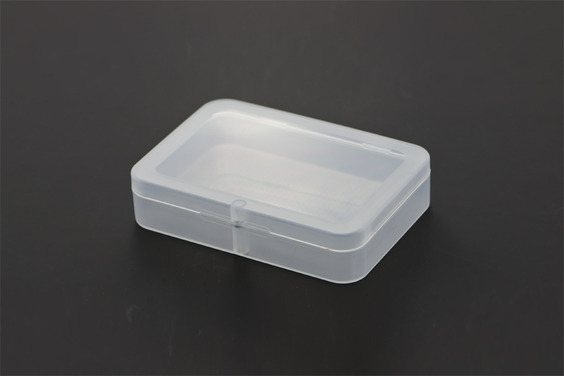 You can keep all of them well arranged in this non-toxic lightweight parts box. The surface is also non-skid treated to make it handy to grip. A tiny magnet latch for smooth opening and closing the box. 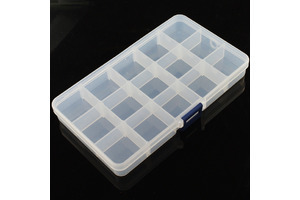 This is a great tool to keep your work desk or workshop organized.